The total value is £74.99 – wow! I should also mention that the lovely peeps at Cohorted have hidden a Too Faced Semi-Sweet Chocolate Eye shadow Palette in five of March’s Beauty Boxes. Let me know if you’re a lucky winner! 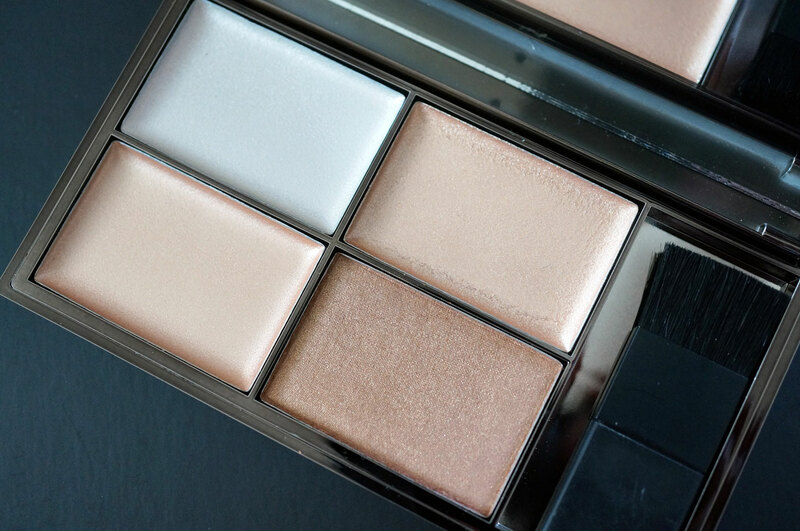 Last month they included an Hourglass Ambient Lighting Palette in five boxes, so I really hope this is going to be a regular monthly occurrence! Ok so I’ll admit, I’ve been so enamoured with Too Faced’s amazing palettes, I’d never really looked into their other eye products, such as their single eyeshadows. From looking at the Too Faced site I can see the Exotic Color shadows come in twelve different shades – but everyone will receive the same one in their Cohorted box. 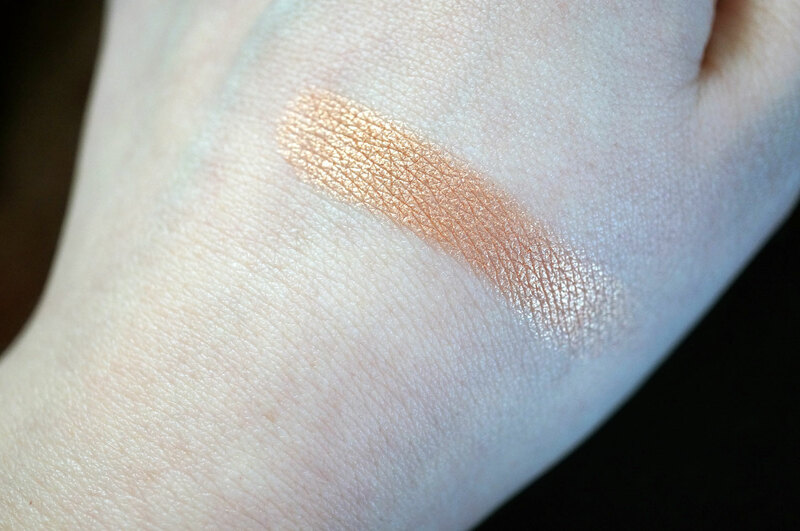 Copper Peony is a beautiful high shimmer copper shade, and I’m completely in love with this colour. It’s just so pretty, summery and will suit pretty much everyone. The formula is spot on too – as expected from Too Faced. 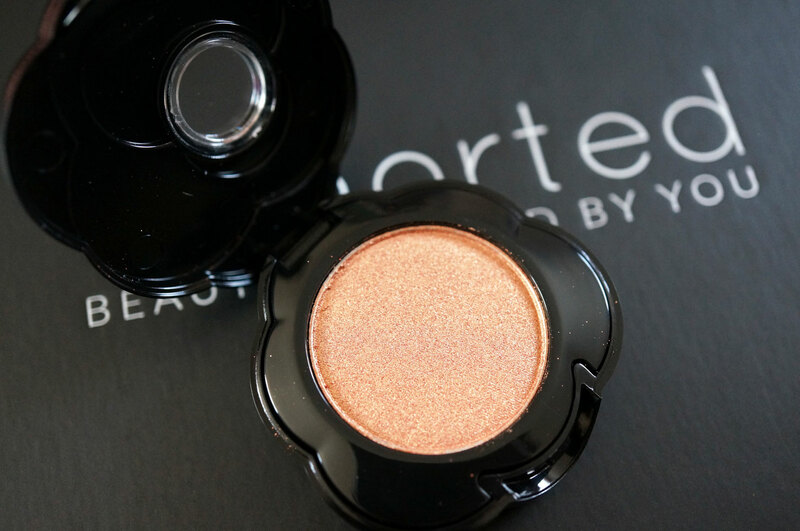 It was so amazingly well pigmented and felt buttery soft to apply. I really love this shadow! 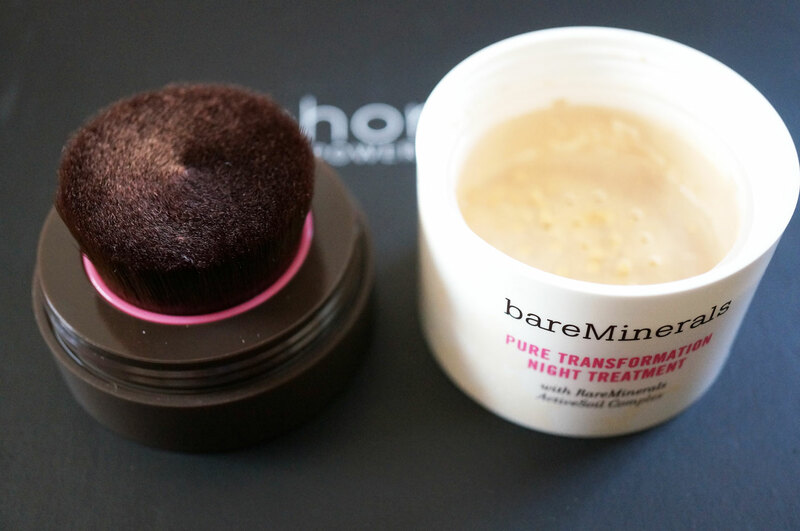 The Bare Minerals Pure Transformation Night Treatment is an interesting looking product. I’ve never come across a night treatment that wasn’t a cream, liquid or serum before, and I have to say the idea of putting powder on my face before going to bed feels quite odd! The Pure Transformation Night Treatment is worth a massive £45, and I know price shouldn’t indicate quality, but for that price you’d hope it would work! It’s supposed to transform and replenish your skin whilst you sleep, leaving you looking radiant in the morning. It’s also clinically proven to reduce the appearance of pores and deliver faster cell turnover leaving you with increased luminosity, and it instantly diffuses imperfections so your skin will look miraculously renewed. Now this all sounds rather fabulous, but does it actually work? I’ll start using it tonight so look out for my review in the coming weeks! 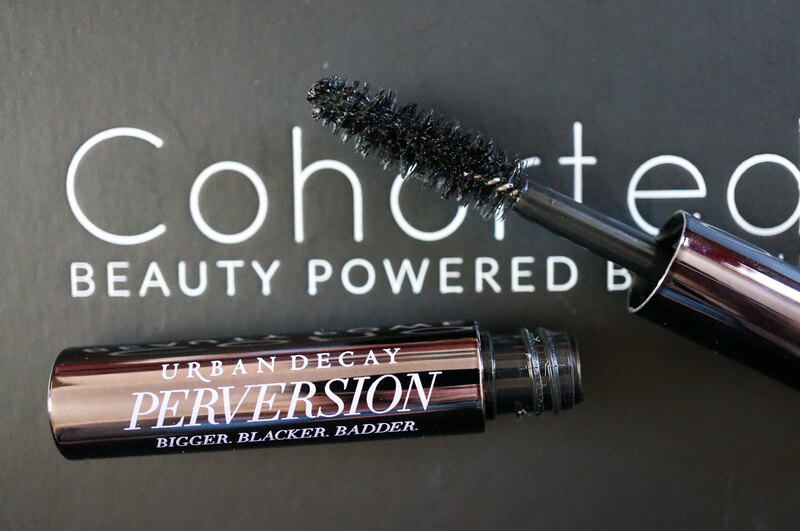 And last’y Urban Decay’s Perversion Mascara. I must admit as much as I love Urbad Decay, I was never bothered about trying this product because the Perversion Eyeliner Pencil really disagreed with my eyes. I love UD eyeliner pencils usually, but there was something in Perversion that irritated and made my eyes water like crazy, so the mascara of the same name never appealed to me. I know they’re completely different products but I was still put off! I’ve been wearing the Perversion Mascara for a couple of hours now and I’m happy to say my eyes are fine! I wouldn’t say I’m wowed by it but it’s a good little every day mascara. This box really is such great value, it’s only £19.99 so to get £74.99 worth of products inside is amazing! Also, Cohorted have increased the size of the box slightly since last month, and added an integrated ribbon so it’s really east to re-use the box for other uses. As I mentioned previously, this box has sold out, but April’s will be available for pre order from 15/03/15 here. Make sure you snap one up quickly though as they’ll be sure to sell out super fast again! 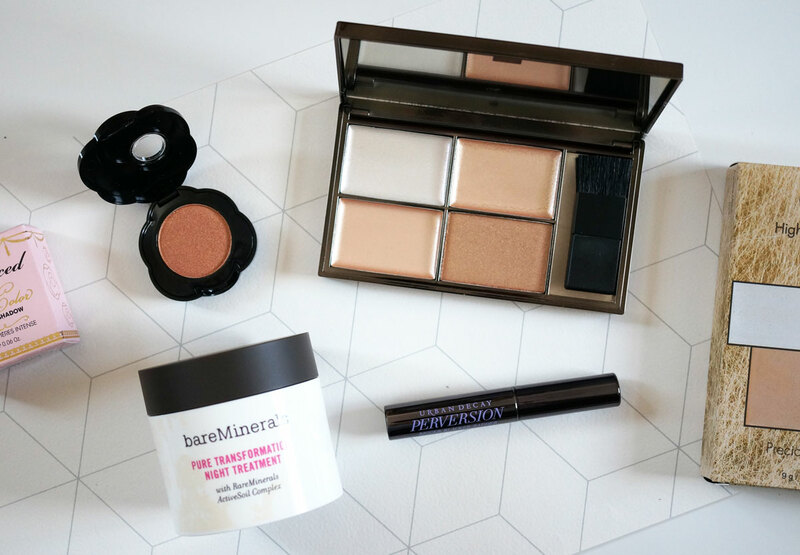 I’m really intrigued by the Bare Minerals Pure Transformation Night Treatment – can’t wait to hear how you get on with it. Great range of products.